As I reported yesterday on Search Engine Land, Google announced they are launching a new search algorithm penalty, to demote mobile pages that have "intrusive" interstitials that get in the users way. Google said this new algorithm will launch on January 10, 2017 and will try to make these pages "not rank as highly" as they once did. This is actually replacing the app interstitials ad penalty that launched in September 2015. So that penalty is going away but it should cover and have the same impact on app interstitials ads. 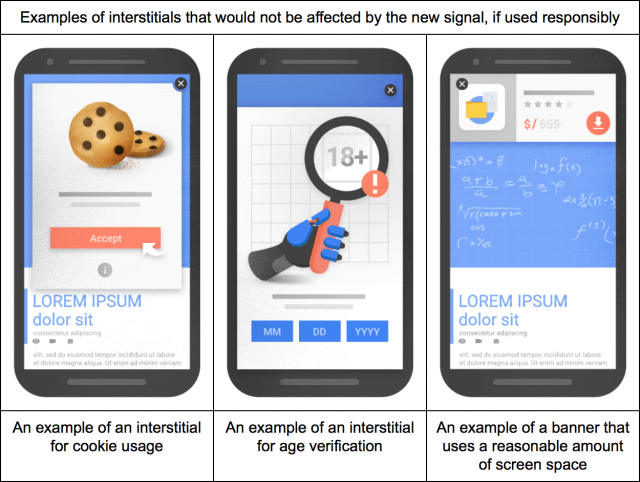 But not all interstitials are bad, Google said these "would not be affected by the new signal." Login dialogs on sites where content is not publicly indexable. For example, this would include private content such as email or unindexable content that is behind a paywall. App install interstitials will no longer trigger an error in the Mobile Usability report; therefore, you may see a drop in errors in this report. 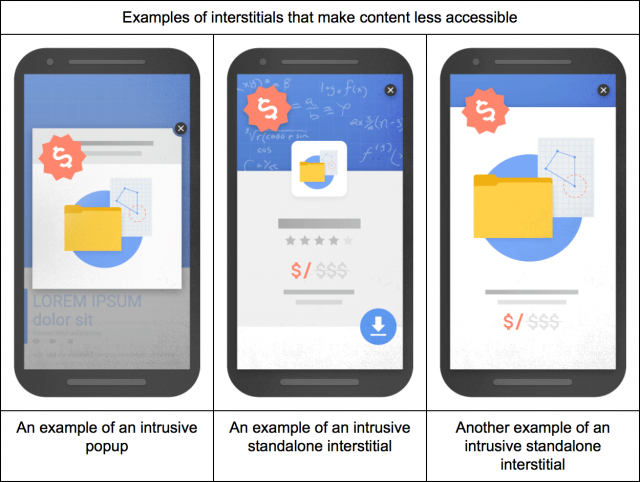 However, although no longer reported as an error, the presence of all types of intrusive interstitials are used as a ranking factor for pages in mobile search results. By far, most users and webmasters are incredibly happy with this news. A WebmasterWorld thread has some of these comments, "about friggin time way overdue." But not everyone agrees, or at least they are calling what Google says versus what they practice hypocritical. One user said, "Adsense has been pushing "Page level ads" - anchor/overlay ads and full-screen "vignette ads" for months. Are these going to compromise rankings? Or not?" Forum discussion at Google+, Twitter & WebmasterWorld.